Natural health doesn't have to just apply to your life—you can practice holistic care with your chickens, too. This is great advice for people but why not extrapolate that out a bit to include our birds and animals, too? That’s exactly what we’re going to do in our new Holistic Henhouse column. In this first installment, we’ll take a general look around to understand why natural and holistic practices make sense in an increasingly confusing world. Raising chickens holistically through feed, lifestyle modifications, and homegrown and homemade medicines has never been easier. 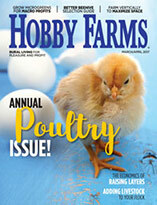 Wholesome feed is readily available, free-ranging and pasturing are popular practices in our hobby, and natural remedies can be easily grown and made at home to help keep the flock happy and healthy. Jenny Ulbricht raises mixed-breed Sussex and Ameraucana chickens on her farm in Kewaskum, Wisconsin. During her first two years of chicken keeping, Ulbricht spent a lot of time observing, learning and experimenting until she got everything how she liked it. Keeping chickens requires more than just basic food and shelter, and she takes every chance she can to enrich her birds’ lives. “I worked hard to find a diet that works for the chickens and me, from a Certified Organic feed to all-grain buffet-style to a simple medley of locally grown mash feed and a mixed, local grain mixture,” she says. In the winter, Ulbricht hangs bags of alfalfa hay for her birds, and they get fresh produce year-round. She likes to offer novel experiences and food for them so they can choose because she feels a good life means having free choice of where to eat and sleep, who to associate with and what to do while remaining safe from predators. Suzy Lowry Geno agrees. She keeps several hundred Golden Comets for their large, brown eggs, which she retails through her Old Field Farm General Store in Oneonta, Alabama. “While I don’t raise any of my animals completely holistically, I raise them as naturally as possible,” she says. While they’re fed layer ration pellets from the local feed store, Geno says they always leave some in their trays, as they supplement their diet by eating bugs, worms, mice, grass and all kinds of tasty foraged snacks from her property. Due to their outdoor, pasture-raised lifestyle, she seldom has a sick bird; common sense, clean surroundings, fresh air, fresh water and an occasional herb for small problems do the trick, she says. In addition to switching your flock to a healthier feed and reevaluating your chickens’ living conditions, you can investigate natural healing modalities. Herbs, according to some, can do a variety of wonderful things. Catnip, pennyroyal and fennel can be used to repel insects. Grow them around your chicken coop or crush and sprinkle them inside. Some say that lavender and lemon balm have a relaxing effect on hens in the nest box; garlic can help maintain a strong circulatory system; oregano can strengthen the immune system; and parsley and marjoram can be used as laying stimulants. All of these herbs are easy to grow or purchase fresh or dried. Essential oils are also worth pursuing, and the basics are easy to learn. Many chicken keepers have found that clove oil can help head off feather picking, while lavender oil calms birds and heals open wounds, and neem oil can to help rout scaly mites. It’s also easy to whip up a fragrant, effective coop cleaner with 1/2 cup of distilled white vinegar, 1/2 cup of water and 10 to 20 drops of lemon essential oil. Homeopathic medicines have been around for hundreds of years. They’re heavily diluted medicinal herbs and minerals that have been packaged in tiny, lactose-based pills. They’re inexpensive and are regulated in the United States by the FDA. Flower essences are another easy-to-learn energy modality that is an easy way to introduce complementary therapies to your flock. Some people think flower essences work on behavioral issues, and they’re easy to choose and use. If you try only one type of complementary intervention, I suggest trying this one. 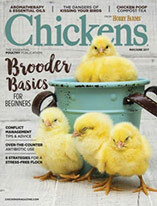 Susan Burek of Moonlight Mile Herbs in Willis, Michigan, raises her chickens in a totally holistic manner. Already a practicing herbalist when she moved onto her farm, it was a natural fit that she’d give holistic care to her chickens. “I wanted to raise my animals the same way I was living myself,” she says. Dismayed to find that there was nothing holistic or herbal on the market for poultry, Burek began to create her own remedies and protocols, and at the suggestion of a friend, she started a poultry-specific herbal business. Lisa Schmitt in Prairie Farm, Wisconsin, also raises chickens in a totally holistic manner, though she didn’t start out that way. As her family was in the process of eliminating many processed foods and chemicals as possible from their daily lives, it only made sense to do so with her chickens as well, because what they eat comes out in their eggs and meat. In addition to better quality consumables, she has noticed that her flock is healthier. Samantha Smith, a holistic chicken keeper from Rainbow, Victoria, Australia, concurs. When her birds get hurt or sick, there wasn’t a vet nearby, so she did the best she could and started experimenting with natural remedies, eventually growing her own herb garden. Natural and holistic care has its place in the coop, but don’t forget about your vet. There may be times when the care you are administering just doesn’t seem to be working and you should consult a professional. You can’t just label your chickens and eggs as organic because you think you’re raising them properly. Folks who sell organic eggs and meat must meet certain USDA National Organic Program criteria to market them as such, including the following. All feed must be high-quality and organically grown. No feed or vegetable scraps that aren’t organic may be fed. Water must be available at all times. 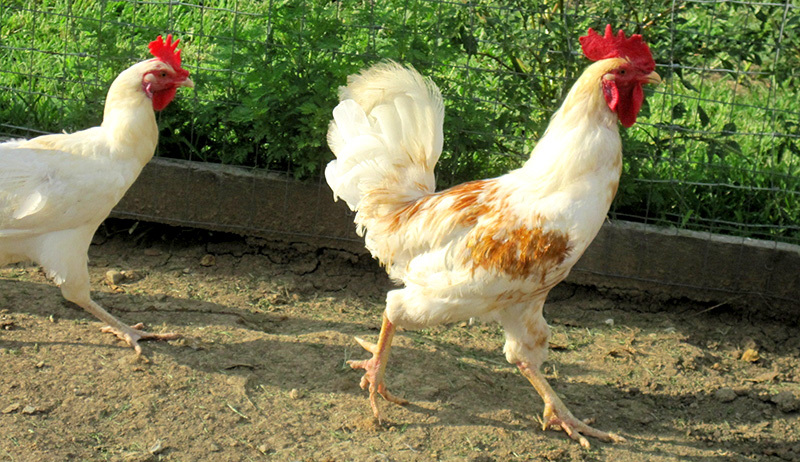 Chickens must be given enough space to minimize stress and provide for their behavioral needs. 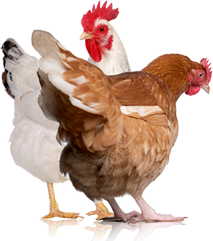 Each laying hen needs at least 1½ to 2 square feet of space in the henhouse, 8 to 10 square feet outside, 6 to 10 inches of perch space and 2 to 3 inches of feeder space. After 4 to 6 weeks of age, chickens must have access to the outdoors, including shade, shelter, exercise areas, fresh air, clean drinking water, and direct sunlight suitable to their stage of life, the climate and the environment, except under conditions in which their health, safety or well-being could be jeopardized. Free-ranging is encouraged. Movable chicken tractors are acceptable if moved daily. Birds must be managed organically by the second day after hatching. Vaccinations are allowed, but the use of growth hormones and antibiotics is prohibited. If that sounds like a lot of rules, it is. However, you needn’t switch everything right away. You could start by changing over to nonmedicated feed and making sure your chickens spend more time outside.